Could going virtual be the future of your business? Today businesses are encouraging home working more than ever before, and now some are taking the plunge towards making their business fully virtual. This means that they have no fixed ‘bricks and mortar’ office residence and employees all work from home—or wherever there’s sufficient Wi-Fi signal—allowing the company to operate globally without ever having a fixed base. What are the benefits of going virtual? The diversity of employees this business model can bring is limitless. There is obviously clear potential in not having restrictions on who you can hire based on their location. If you run a virtual business, you aren’t limited to hiring people who live within commuting distance of your office. Instead, you can pick and choose from the best and the brightest around the globe. Furthermore, neither you nor your employees will be limited by travel constraints, traffic, or the stress of commuting. Working from a home can also decrease sick days, increase employee retention and supports flexible working hours; a major selling point for any company. It can also enable people with chronic mobility issues to work for you from their home environment. By not spending money on office space, your company can also invest the money saved in other areas which can, in turn, help your clients and your employees. It’s a common problem that companies of any scale are overpaying for their office premises because the space doesn’t fit their business requirements. The cost of rent, office supplies, electricity, water and equipment will all be saved under this model. How about the process of going virtual? It is definitely easier to grow up as a virtual company as opposed to converting an established company with multiple offices. If you’re thinking about starting a new virtual business, you have the advantage of being able to grow around the concept rather than having to fit your business into it, and you can keep your starting overhead costs small. You can then slowly build a global network of employees with the same vision as you. If you’re an established company with physical offices, it can be a big culture change for a company used to the structure of an office environment to move everything online. If you were to consider it, it may be best to start slow and test the water. Try encouraging more employees to work from home – maybe test-run it with willing departments and build your way up. Whether you’re an established business or a fresh-faced start-up, if you’re considering going fully virtual you will need to ensure you have the right technology in place to make it work. Ensure you find a reputable and secure web host provider with adequate storage space for your business model and any anticipated growth. Invest in good quality computers/laptops and ensure your employees have the same. Make sure you have a dedicated business phone, fast internet service, fire sharing facilities, virtual meeting rooms (VMRS) and a first-class website. This is vital to remain up-to-date and relevant in the fast-paced growth of the digital world. If you’re going to make your virtual business work, you will need to ensure your employees are all on the same page and all working towards the same goals. This can be tricky when you don’t meet up on a daily basis but there are ways you can keep your employees updated and connected. Your goal is to create a community and you may have to work at it a bit more than you would in a standard office. You will also need to find ways of tracking progress; project management tools can be a big help with this. Software such as Trello or Teamwork can be used to ensure different objectives are being met by set due dates. 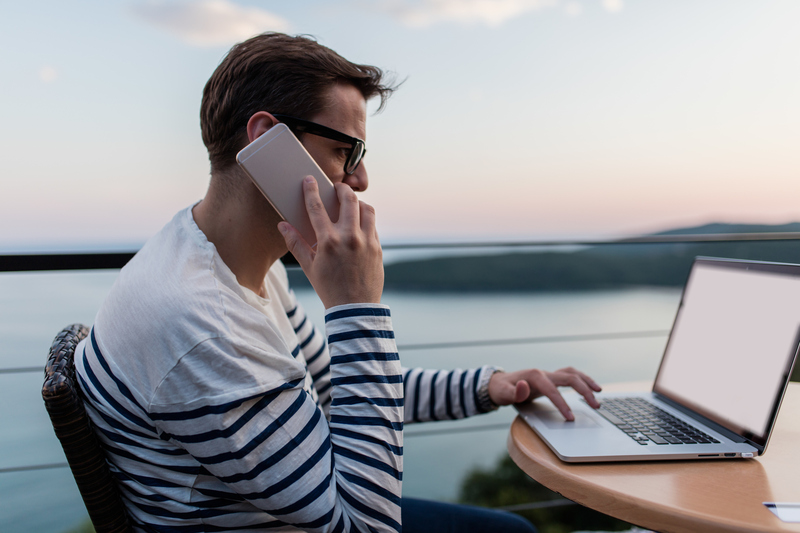 Working from home can be isolating, which may lead to a disconnection between employee and employer – so it’s worth finding ways to combat this. Think about what you would do in a standard office and try to emulate this in a virtual environment. You may want to consider creating a daily or weekly newsletter, virtual meetings on Skype, virtual exercise classes, virtual training courses, challenges and virtual team building exercises and even virtual walking clubs. What are the downfalls of going virtual? It is widely believed that people can generate better ideas when sat amongst like-minded groups than when they’re working alone. A number of people may not want to work from home and enjoy the routine of going to the office on a daily basis. As mentioned above, isolation is a problem with home working and a colleague’s mental well-being could suffer without the stimulus of interacting with their employees throughout the week. It also means the employees might find it difficult to switch off from work as their home has now become their workplace – so there’s no longer that clear divide between the two. You could find it harder to create the sense of camaraderie required for successful collaborative working in a virtual environment, as despite software like Skype allowing employees to interact face-to-face, nothing will beat actually being in the same room. You might also find that you need office space in order to meet existing clients or attract potential new clients. A way to counteract this would be to hire office space by the week or the hour. Conversely, if you don’t like the idea of not having an address, you can buy a registered address online – which could actually add prestige to your company, available in areas such as Kensington or Shoreditch; they even have a post redirection service. Moreover, some can hire out meeting rooms for when you’re in the area. There’s a lot to think about and it’s not expected that people will be ditching the benefits the office environment can bring without a fight, but it’s an interesting concept nonetheless. There might be a lot more people adopting a hybrid approach in the future and consider combining the traditional approach with virtual agencies. Whether you’re a traditional business, thinking about going virtual or a start-up business, Watkin Davies can make sure to get you the insurance you need. Contact us on 029 20 626 226 today.